For the most part you are as free as you want to be. It's very simple. Possibly even black and white. At times it may seem that there is something larger than you controlling your fate when in fact it was always up to you. As long as you are alive there is always a choice. In every situation you can choose to change until there are no more choices. The easiest decision to make is to quit or stop what you are doing to prevent what comes next, yet that is the one thing that will prevent you from truly living authentically. To live authentically means to be free and fully aware of what you choose. Nothing can impose upon you unless you allow it. This is why the nations of the world are restless with purpose and cause. There are people desiring what others take for granted and refuse to share with their own kind: freedom. Who and what has society become if they can not depend on one another? Realize you are as free as you choose. No matter where you are, who you are and what you do… you are in control of your freedom. 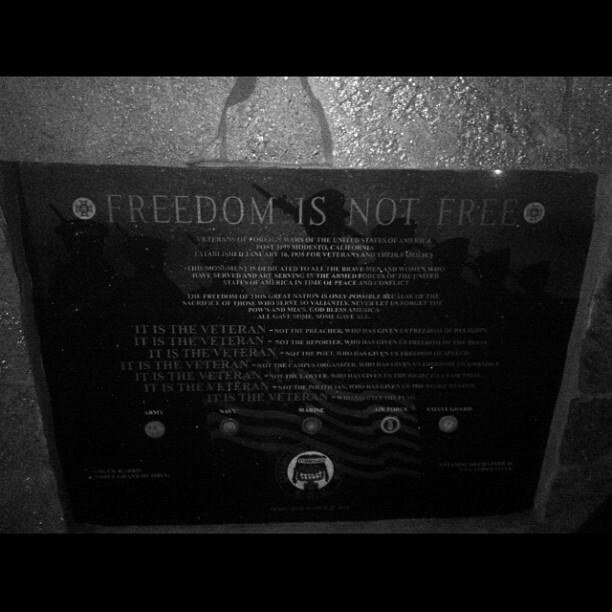 enjoy your freedom. I know I've been enjoying mine.